“Society creates its own monsters”. So runs, at the time of writing, one of the more intelligent comments posted on the wall of the new Raoul Moat fan page, in stark contrast to the innumerable lines of vitriolic flaming, poor punctuation, ad hominem arguments and flagrant OVERUSE OF CAPS LOCK. Corin Faife takes a look at what the Raoul Moat story, and our collective reaction to it, tell us about the way we live, and think, today. “Society creates its own monsters”. So runs, at the time of writing, one of the most intelligent comments posted on the wall of the new Raoul Moat fan page, in stark contrast to the innumerable lines of vitriolic flaming, poor punctuation, ad hominem arguments and flagrant OVERUSE OF CAPS LOCK. The group, ‘RIP Raoul Moat! 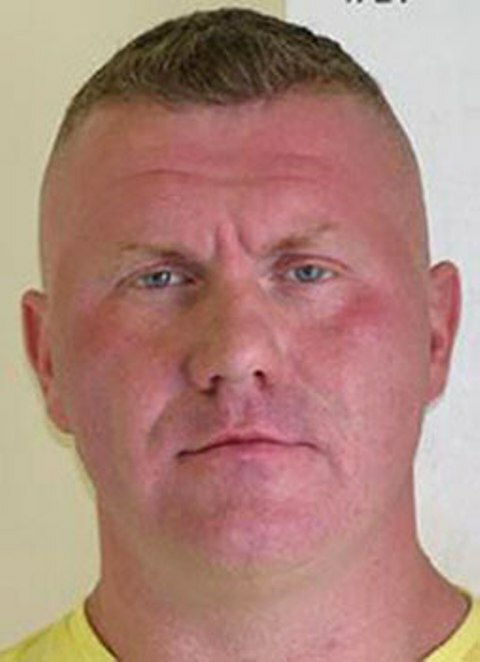 <3’, is the poor cousin of the infamous RIP Raoul Moat You Legend! group, now vanished from cyberspace after being decommissioned by its creator several days ago. The new group has barely mustered half as many members and, as the image of the steroid-enhanced northerner fades from the public consciousness, will no doubt collapse into either ignominy or obscurity. Bloated and sordid as the spectacle of the Moat case was, the events surrounding his rise and demise were at least newsworthy in the conventional sense, ticking the key headline-grabbing boxes of love, revenge, insanity and extreme violence. What was entirely bizarre was the inclusion of a sub-plot in which David Cameron, Prime Minister and (semi-) elected head of the British people, found time to talk to both the House of Commons and the British media about his opposition to the Facebook page set up in tribute to the deceased gunman. Whatever your views on Facebook, it has made too much of an impact on the Internet to be dismissed as unimportant, and if, as seems likely, it provides a model for the future of the social web, we should worry about how it is policed. If this recent incident is anything to go by, it seems that we are now entering an uncomfortable twilight zone in which those at the upper echelons have a distinct lack of understanding of the workings of social networking sites, but a willingness to wade in and censor nonetheless. As a citizen and a libertarian, the explicit proscription of a certain train of thought smacks of totalitarianism and, as such, should set all kinds of alarm bells ringing. Ditto the reduction of any human story to such black and white, Manichean terms, especially when one could make a convincing indictment of the many systemic failures which led to Moat being released from prison unwatched and unsupervised, despite suggestions form prison officers and social workers that he presented a danger to his former girlfriend. Cameron’s unnecessary comments were a cheap piece of point-scoring, a chance to capitalise on media interest in the case whilst demonstrating the alignment of his moral compass with the prevailing winds of public opinion. We can only hope this is explainable by a penchant for the brash and egocentric style of a Sarkozy or a Berlusconi, endlessly volunteering unsolicited opinions on matters in the public eye: disheartening though it may seem, when measured against the alternative explanation of a genuine move towards a moralising, thought-policing state, it would certainly be the lesser of two evils. Corin Faife is a writer, activist and amateur taxidermist. His ‘Modern Times’ column appears in Ceasefire every other Tuesday. 1) he claims in his letter to have been stopped by police around 150-200 times a year over a prolonged period, because of disagreements with them during his time as a bouncer. This is consistent with other accounts of police harassment. 2) he claims to have been wrongly charged with weapons offences based on planted weapons. Again very plausible since the case was dismissed in court. 3) he makes very astute comments about prison in his letter, including that people around him were “dropping like flies” – about a suicide a week – and most of the people in there were not in for anything serious. 4) he may well have gone into meltdown from abrupt withdrawal from steroids while in prison – making what happened the fault of the prison system. People might question his methods, and the signs of alpha-male-ness and family abusiveness about him… but his feelings about the police were NOT irrational prejudice, they were well-grounded in reality. Well done Mr Moat, there is only a certain amout of harrasment one can take from the police. We all know they abuse their authority and many are as vile as the criminals themselves. Many officers abuse their position and really believe that there shall be no repercussions. They are all wearing the same uniform all in the same gang, so what Mr Moat did was only to be expected, pity he didnt take of a few more heads, well done I commend you sir (Nothing to live for go out with a bang). If these people really think they can alter someones entire life without a shred of concern for anothers feeling there are sure to continue to be more events of this nature as the public tollerance of abusive so-called officers shall not be tolerated. When will these poeple realize their job is to serve public & society as a whole. It is not suprising that kids are carrying guns, soon the police will be their target.